NC Digs highlights five different types of archaeological sites - Native American, battlefield, plantation, trash pit, and industrial - that are found across the State. 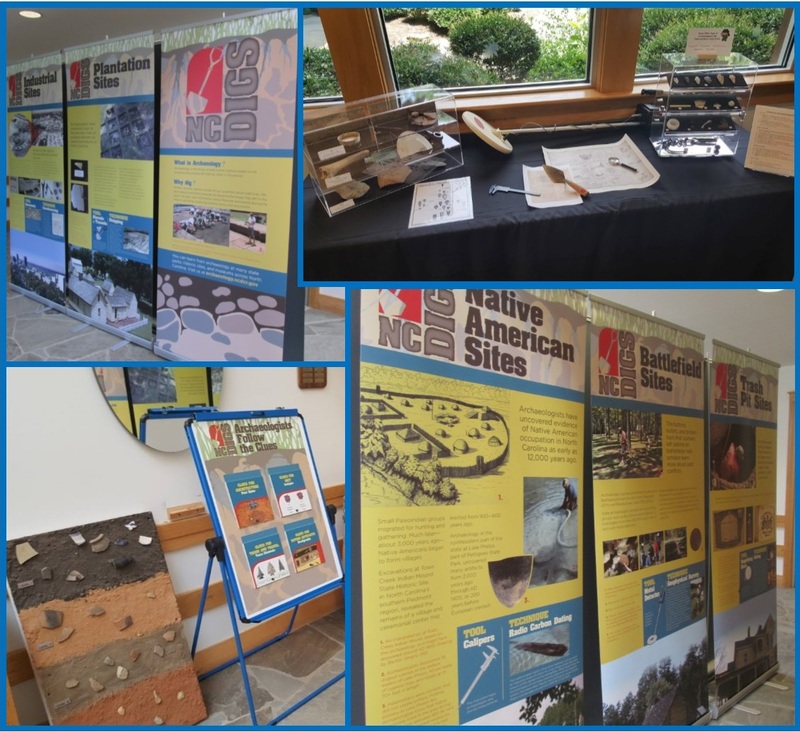 The exhibit includes interpretive panels explaining each site type and techniques and methods used for excavating and analyzing materials from these different types of sites. There are artifacts on display as well as various tools used by archaeologists. We are currently updating the Traveling Exhibit schedule and not adding new venues at this time. If you would like to provide contact information for consideration at a later time, please email melinda.tomlinson@ncdcr.gov. Thank you.